Grew Up… with his best friends Doug Billings and Stu Price. Phil has always been a leader, and the one most prone to getting his group into trouble. He is proud of his role as the group’s designated drunk driver. Living… in Los Angeles with his wife and two children. Phil never grew apart from his childhood friends and still lives within driving distance of Stu and Doug. Visiting… Las Vegas for Doug’s bachelor party. While the trip was initially only going to be Phil, Doug, and Stu, Doug’s fiancé insisted they add a fourth member – her eccentric brother Alan. While Alan is a bit off-putting, Phil doesn’t really care. As the only married one in the group he’s the most excited for their depraved and wild weekend in Vegas. Profession… schoolteacher. Although by all appearances he’s a pretty bad one. It would be terrible to have a teacher like him who absolutely refused to see any student outside of class. It would be even worse if that teacher openly mocked students. It would be almost unthinkably bad if that teacher collected money for a field trip that was never going to happen and spent it on God knows what in Vegas. But that's Phil. Interests… drinking, strip clubs, and any kind of wild time. Phil has always been the “cool” guy in the group – down to do anything. He loves his wife and has a good marriage, but sometimes feels stifled by the domesticity. This bachelor party is his chance to cut loose. Relationship Status… married to his wife Stephanie, with whom he has two children. Phil occasionally laments that he hates his life, but his relationship with his wife appears to be faithful and healthy. Challenge… finding Doug and getting him back home before the wedding. The group came to Las Vegas expecting a wild night, but when Alan accidentally drugs them with roofalin, things get really out of control. They wake up the next morning with a baby and tiger in their apartment, a host of mysterious injuries, and no idea where their friend Doug is. 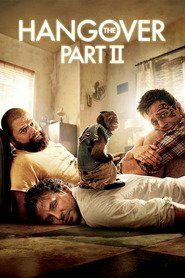 With no memory of the night’s events, Alan, Phil, and Stu need to reconstruct the wildest night of their lives and find their friend. Personality… charismatic, selfish, and laidback. Phil likes nothing more than a good time. He’s not always very considerate, evidenced by his unilateral decision to upgrade their rooms and charge it to Stu’s credit card – but when the chips are down he can be counted on to come through for his friends. He also often acts as a leader, and is able to retain a positive attitude even amidst the trying circumstances surrounding Doug’s disappearance. Phil Wenneck's popularity ranking on CharacTour is #2111 out of 5,000+ characters. See our top-ranked characters and read their profiles. When three friends finally come to after a raucous night of bachelor-party revelry, they find a baby in the closet and a tiger in the bathroom. But they can't seem to locate their best friend, Doug – who's supposed to be tying the knot. 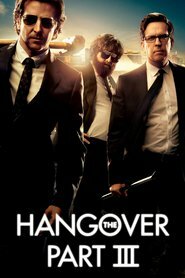 Launching a frantic search for Doug, the trio perseveres through a nasty hangover to try to make it to the church on time. 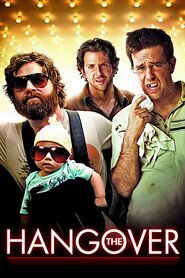 The Hangover crew heads to Thailand for Stu's wedding. After the disaster of a bachelor party in Las Vegas last year, Stu is playing it safe with a mellow pre-wedding brunch. However, nothing goes as planned and Bangkok is the perfect setting for another adventure with the rowdy group.